Fortland Park: Surrounded by Shelby Bottoms Park on three sides is East Nashville’s Fortland Park neighborhood. In your own backyard is miles and miles of biking and walking trails, a golf course, fishing lake, baseball field, and a boat ramp. Incredible restaurants are a good walk or short bike ride away, as well as Inglewood’s Riverside Village. One level living dominates this neighborhood, and its classic brick ranches are experiencing the same renovations that the rest of East Nashville sees. 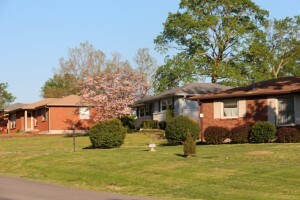 You will find large lots here, with the advantage of still being so close to Downtown and all things East.